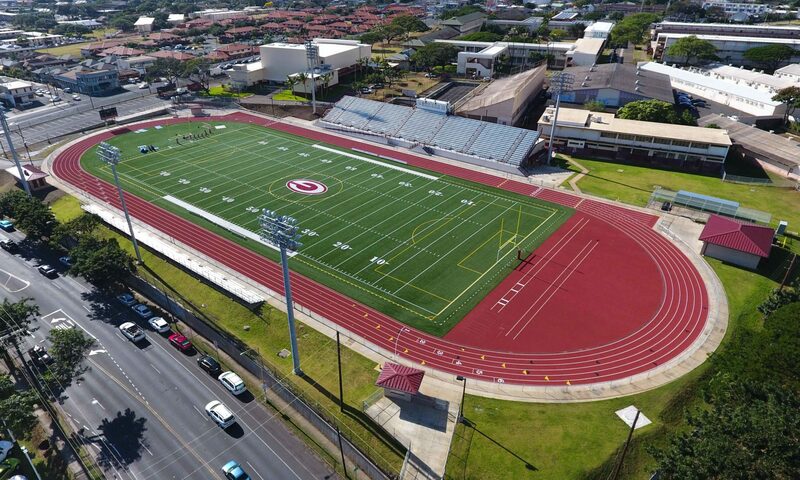 With over 2,300 students & 135 faculty, Farrington High School has one of the largest student populations of all Hawaii’s public schools. Designed by noted Hawaiʻi architect Charles W. Dickey (1871-1942), the campus sits on 26 acres – once used by the U.S. Army as a hospital during World War II. Mr. Dickey is widely known for designing some of the most famous buildings in Hawaiʻi such as the Alexander & Baldwin Building, Halekulani Hotel, Queen’s Hospital, the old Waikiki Theater, Varsity Theater and Kamehameha Schools - Kapālama campus buildings.